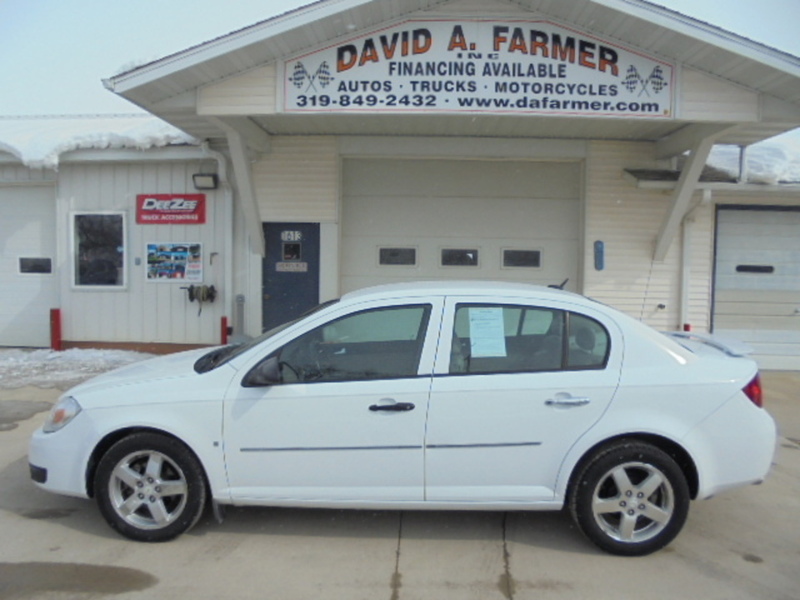 Low Mileage 2007 Chevy Cobalt LTZ 4 Door with ONLY 89,372 Miles. Like New Tires and Loaded with Remote Start, Heated Leather Bucket Seats, Pioneer Sound System with Pioneer Subwoofer, Steering Wheel Audio Controls, Power Windows, Power Door Locks, Cruise Control and Much More. All vehicles Inspected by 2 Independent Mechanics with a combined 80 Years Experience. call Today to Schedule a Test Drive of Your Next Vehicle at Center Point,Iowa's Premiere used Vehicle Dealership(Family Owned and Operated in Same Location for Over 33 Years).